All Chinese, Japanese etc. 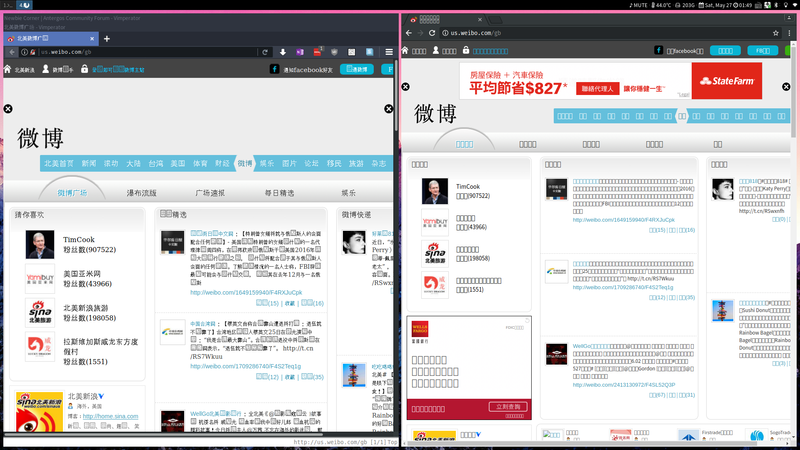 characters are displayed as squares, see screenshot (Waterfox vs Chrome, not sure why Waterfox got some shown properly). I tried re-installing pango, and changing default system font, neither helped. Input characters with fcitx show up fine in all app that I tested, even in gnome-terminal. Any advise and suggestion is much appreciated, thanks!